A weaker Euro means fewer Pounds for British vendors who repatriat their funds to the UK. Using a forward contract might help in some cases. Or perhaps not for the Euro zone as we continue to see the proverbial nails being readied for the coffin that contains the single currencies’ woes. Not chirpy, I know, but for many investors and property owners in Spain it’s time to look at the bigger picture, which doesn’t paint a pretty scene as the hang-over continues into 2012. The second half of last year revealed a number of detrimental factors that have hurt the Euro zone: worrying decline in stocks, increase in unemployment, Governments finally pulling their heads out of the sand and recognising the problems within their own countries have all contributed to the crisis, which left people asking whether the single currency will even survive a year. It is a fair assumption that the Euro zone debt crisis will remain the central focus of markets going into the New Year, so further weakening of the Euro is expected. The outcome of the EU Summit last month did little to support the currency, with the outlining of plans to work towards greater fiscal integration in the euro zone failing to provide any comfort to the market as GBP-EUR pushed the €1.20 (0.833) level, and some forecasting €1.25 (0.8) by the end of February. So the Euro could well continue to fall, in which case now might be a good time to sell it, or get a forward contract to do so if you are not yet ready (for example, if you are in the process of selling a property in Spain). For example, if you wanted to change Eurso into Pounds in June last year, when one Pound cost 1.11 Euros, but didn’t have access to the Euros until December, a foward contract could have saved you £6,992.21. Firstly, you agree a rate of exchange for the amount of Euros that you are looking to sell and give a date that you know that the funds will be available before (bond maturity, or date of expected house completion for example). 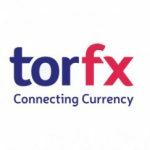 A 10% deposit is needed within a few days of agreeing the rate and you can then relax and not be affected by any market movement, and can get your money at any stage at the fixed rate and all you need to do is send over the Euros when you have them before the end of forward contract. I should not be so negative. Euro is not more or less sick than any other western country, (UK?) Second the market in the US is picking up, we are always a year behind a recover of the US. Your currency story is dangerous, = always speculation. I have seen in the past many contrary stories as well. With a good pile of positive clients, also ‘buyers’ we are entering 2012 positive. Prices are low, many cases on construction costs, so can’t be better. You have a very well researched website. Regardless of the doom and gloom merchants, there is no doubt in my mind that quality property in sought after areas of Andalucia will always attract intelligent and discerning investors. It is, however, imperative that any prospective purchaser should obtain the services of well established and highly regarded local estate agents that have the knowledge, experience and expertise to provide any client with impeccable professional assistance. “Buy your home in the sun with confidence”.